Why are some results so long? They're not summaries, it's actually the ENTIRE post being displayed! Bad: title:"with the superdevmode" title:"getting started"
Help me there's just too much that doesn't work! The list is very long, mostly grammatically correct, and shows too many extra characters in a large text block! The bug fix is too slow or the one big problem is too big! Why would they do this? I think I know what's triggering this, actually. It happens when you are searching for a phrase with the title: operator (which only returns questions, BTW) and the phrase also occurs in the body. All of the content after that trigger phrase will appear as the "summary", so of course there needs to be enough characters after the phrase appears for the bug to be visible. As codecaster commented, this is a bug with the ElasticSearch highlighter. Elastic is returning more text than it should be, which is what we are seeing. As such, it isn't something we can fix ourselves. We are, however, in the process of updating Elastic to a more current version. Once the upgrade, there is a good chance the issue will be resolved. Just looking at the various results, it seems like the root of the "problem" is the summary generator trying to include (highlight) all instances of the search terms in the search snippet (or at least as many as it can up to some internal count). It also has some word count limit, but for the most lengthy of summaries, it also seems to count code blocks as one "word", so the limit is still not "exceeded" no matter how long the block is. It's almost certainly a feature to prevent breaking up <code> tags and the code they contain. Maybe to not break any syntax highlighters that might go over the summaries (not that they do normally, but they might at some point)? 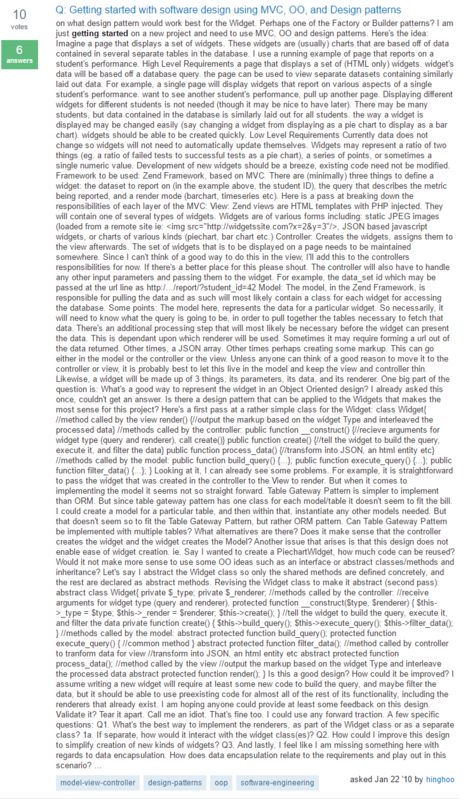 The summaries that are abnormally long but without code tags or similar HTML blocks seem to be extra long because the search terms occur at the extremes of what the summary generator is willing to show, then it pads out the word count just a little more so the snippet doesn't cut off right at the search term but includes a bit more context after it. Not the answer you're looking for? 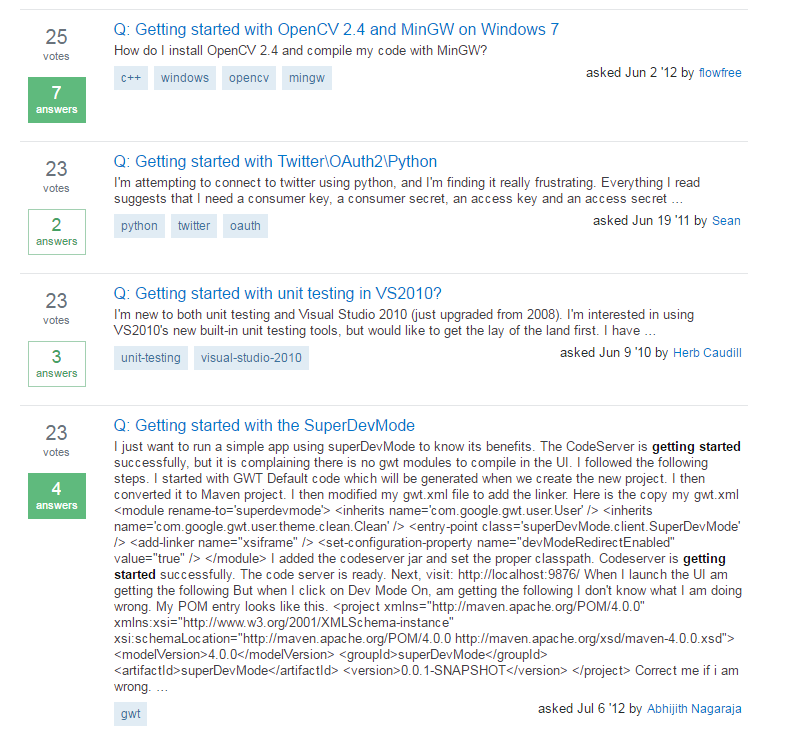 Browse other questions tagged bug design search .